Syracuse is first in the ACC in efficiency margin, defense, offensive rebound percentage, and opponent turnover percentage. And last in pace. Tomorrow afternoon Miami will host Syracuse, and, as it happens, in terms of pace the Hurricanes and the Orange rank No. 126 and 127, respectively, out of the 127 teams I track on a per-possession basis during conference play. Ken Pomeroy’s laptop is well aware of this state of affairs and has spit out what would otherwise be a rather startling 54-possession forecast for the contest in Coral Gables. That sounds about right. Duke paid a visit to BankUnited Center just the other night, after all, and Mike Krzyzewski and company were treated to a 57-possession game. Syracuse and Miami are in the vanguard of a dramatic and unexpected change in college hoops this season. The ACC is suddenly slow, and it’s weird. A league that showcased the open-court exploits of Chris Paul and Ty Lawson is now almost three possessions slower than the conference of Bob Knight and Gene Keady. What’s strange about the ACC slowing down so dramatically is that it’s occurred against the backdrop of significant acceleration across the rest of the major conferences. The Big 12, Big East (albeit with new membership), Big Ten, Pac-12 and SEC have all added between 1.6 and 2.5 possessions to their average pace of play since last season. The ACC alone has bucked this trend, and in a big way. Don’t blame “the Big East teams,” or at least not this latest batch of Big East teams. Syracuse may be slow, but Pitt and, especially, Notre Dame have picked up the pace compared to last year. Is this a problem for the league? Should ACC commissioner John Swafford form a task force? Not yet, but it’s something he’ll want to keep an eye on going forward. 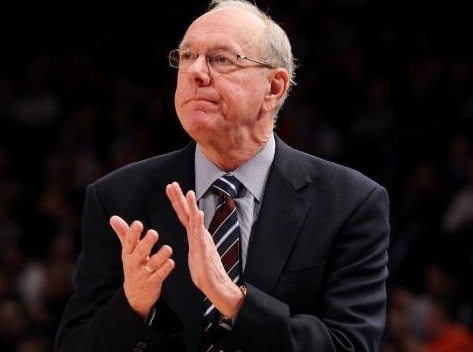 Syracuse games, for example, aren’t particularly excruciating to watch because the Orange happen to be really good at basketball and Jim Boeheim has players who will move on to the NBA. Maybe those games are a smidge more excruciating than they otherwise would be, however, and, certainly the league’s other less talented teams operating at a similar pace are not winning any awards for hoops aesthetics. Most alarming of all is the fact that this change of speeds is messing with years of accumulated lazy “LOL Big Ten is slow” stereotypes and message board chatter. The season is young, and the numbers will change, of course. I’ll keep you posted on whether the Big Ten is really going to break its remarkable string of being the slowest-paced major conference since, well, since we started tracking this stuff. But what we’ve seen thus far has come out of left field, to say the least. You have meddled with the primal forces of hoops nature, ACC, and we are all somewhat surprised. This entry was posted in counting things, hoops on January 24, 2014 by johngasaway.